Billabong Zoo are a client, that like many, have a strong passion for what they do. OnTeam take pride in helping companies like this grow and enable them to continue the work that they love doing. We are able to take a unique look at a business and identify opportunities that they may not have realised on their own. One such opportunity, that we are excited to partner with Billabong Zoo on, is the Animal Sponsorship Program. This program rallies the strong international network we have with the chance to provide financial support to an iconic Australian wildlife species. With the financial support from these investors, Billabong Zoo can provide for the needs of these animals and even look to expand their enclosures to grow their colonies. Billabong Zoo have taken on a new Digital Marketer who states her dream job as working in animal conservation, it’s clear the new team are a match with a shared goal, helping our animals in need. OnTeam have laid the foundation for the program providing a framework for how the sponsorship program might work. It’s a plan to launch a program that has many moving parts and goals. The program features the need to have value added benefits to the sponsors and a strong understanding of how to communicate these benefits on a global level. With Billabong Zoo’s outstanding international reputation and Zoe’s passion and skill-set within this arena we are confident great things are going to be achieved. Keep an eye out for a future update! 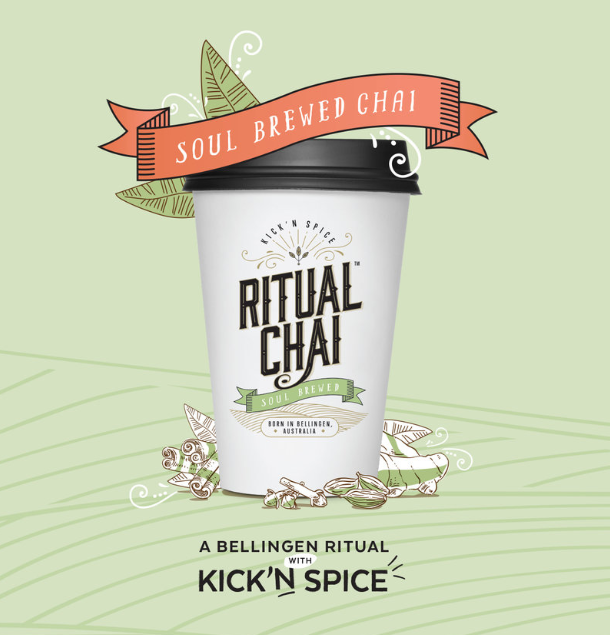 Ritual Chai is a brand born in the heart of Bellingen at a cafe known to be the town's cultural hub - 5 Church Street. There, this soul-brewed chai was created - a beverage that embodied everything the community represented, ethically, locally sourced real ingredients lovingly and meticulously brewed together, and the locals had soon made it their daily ritual. As such, Ritual Chai was named. With the help and guidance from Onteam over the last 12 months, Ritual Chai has grown exponentially from just a product within a cafe to becoming its own entity and popular by its own merit. They now have a dedicated beverage van travelling the market circuit with plans to increase their placements and have developed a repeat customer base and an online presence. The brand continues to gain momentum by the hour. Ritual Chai is now travelling the country fulfilling nation-wide demand with goals to enter into the international space. We’re honoured and pleased to be partnering with Michael from Beyond Travel to open new opportunities in the Chinese tourism industry. Recently our Director of China, Aries, went to Henan, the third most populated city in China. On the trip Aries met one of the largest travel franchises with over 8000 outlets in China. They also have the Jetstar flight link from Melbourne/Sydney to Henan. Through our alliance marketing partner in Hong Kong, we also have a plan to promote Beyond Travel Tour Packages via a popular travel website as well opening up interest via the extensive BNI network due to Yan Wong’s leadership of the largest BNI in Hong Kong. We engaged a local China marketing expert, Thomas, to develop an online-marketing solution via the popular WeChat, YouKu and Weibo social media portals. Created a positioning line for China “No place you cannot travel, only places you haven’t thought to travel” and the Chinese brand for Beyond Travel. And we have segmented the market and developed the strategy to target a selection of second-tier cities. In collaboration with Beyond Travel, we’re in the process of designing brochures that feature travel packages perfected and customised for the Chinese market. Destinations like Russia, Eastern Europe and Sri Lanka. We also intend to offer unique Australian destinations, and in doing so, support other Australian brands like opals, wine and local accommodation providers through exclusive and appealing deals. OnTeam is devoted to fulfilling our commitment to assist Beyond Travel find and reach success in China. On June 26-27 the team at Onteam had gathered from around Australia to the Mid North Coast to attend the annual Onteam Group Conference held this year in Bellingen, NSW. It was a jam-packed couple of days but we managed to sneak in a wonderful team-building activity of craft chocolate making in Bellingen being taught the Bean to Bar process of chocolate-making. The 18th of August 2018 marked a special day for Onteam as after much planning and organisation from the team, our Chatswood office had finally opened its doors to the public in one unforgettable opening celebration. We are so appreciative that we were joined in celebration by many friends and business partners to commemorate the exciting moment. We at Onteam are so excited about our new business presence in Chatswood and are looking forward to the significant growth we will now be able to accommodate.